Facebook continues to be the most popular social media platform, but that doesn’t automatically make it the best platform for marketing your e-commerce business. According to TrackMaven, brands experience the highest average engagement on Instagram. 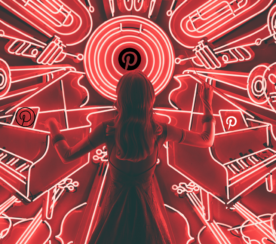 This makes the platform a necessity for brands that wish to connect with a more engaged audience. 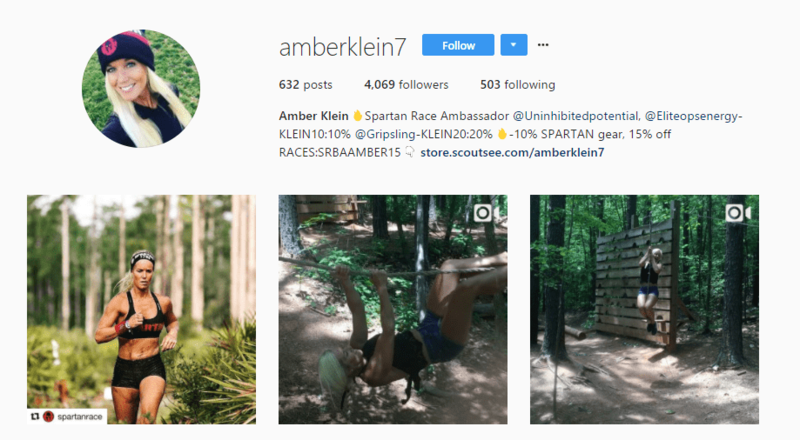 In this post, you’re going to find out how to make the most of Instagram, and how your e-commerce business can experience growth through the platform. Here are five of the best Instagram tools for e-commerce. Instagram can be an excellent platform for engaging an audience. But e-commerce stores are at a disadvantage because they can only add one link to their profile, as you can see in the lululemon bio below. Instagram doesn’t allow users to add links in their posts either. Which means that other users can only window-shop your Instagram. If users find a product they like on your Instagram, they can’t buy it directly or even click a link to go to the product page. They have to visit your website and search through your entire product catalog. If they’re actually able to find the item they liked, only then can they make a purchase. This can be a hassle for consumers and may cost you a lot of sales. 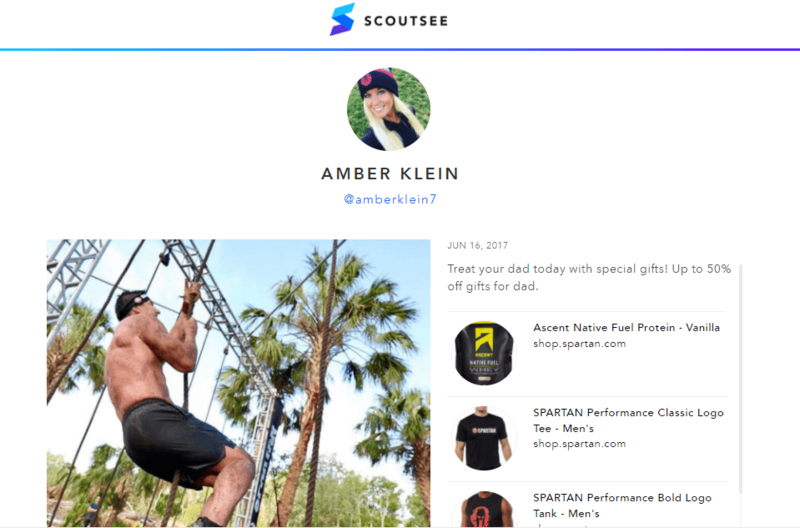 Scoutsee solves this problem by allowing users to create shoppable posts on Instagram. Using this solution, you can create your own storefront, and add a link to it in your Instagram bio. Then when you share photos of your products, mention in the caption that users can click on the link in your bio for more info. When shoppers click on the link, they’ll be taken to your personal storefront. If they’re interested in buying a certain product, they can click on the product to go to the product page. There’s a list of products on the right side of the photo. When her followers click on a product, they land directly on the product page, where they can complete their purchases. You may think that your posts are performing quite well, but how do they compare to your competitors’ posts? And how exactly will you see whether your latest posts are performing better than your previous ones? Iconosquare provides you with a comprehensive analytics platform to track and measure all of these metrics, and more. This tool’s analytics feature lets you measure your follow growth, identify the location of your followers, and analyze the real-time performance of your Instagram posts. You can also measure the number of likes and engagement you’re receiving. And the tool lets you identify the best times to post so you can update your posting schedule accordingly. What’s great about Iconosquare is that you can analyze how each filter and hashtag you use influences your engagement rate. This will help you understand which filters work best to engage your audience and which hashtags you should use to improve visibility. Additionally, Iconosquare is an excellent tool for keeping an eye on your competitors. Using this tool, you can compare your performance against your competitors in terms of engagement, followers, likes, etc. You can also use Iconosquare to find out the posting habits, posting history, and most-used hashtags of your competitors. You may have noticed that Instagram contests are a great way to engage your existing customers and gain new followers. But with so many user-submitted photos to analyze, Instagram contests can be difficult and time-consuming to manage. Wishpond’s Hashtag Contest App makes it much easier to create and manage engaging Instagram contests. You just need to assign a specific hashtag for the app to track and it will collect all of the posts using that hashtag. You can also use the app to set rules. For example, if you want to gain more followers, you can require people to follow your Instagram account in order to qualify for the contest. 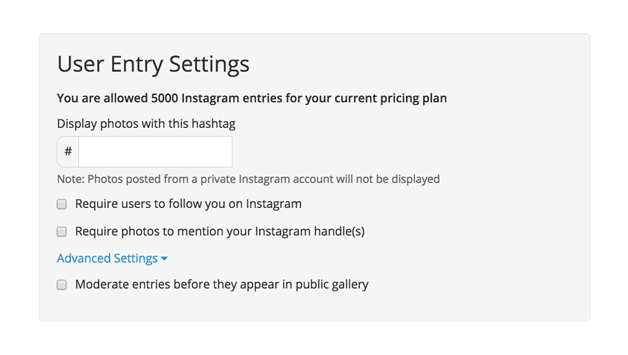 Or, to increase your brand’s visibility, you can make it compulsory for entries to mention your Instagram handle. The Hashtag Contest App from Wishpond also comes with a real-time analytics feature. This feature helps you monitor how your contest is performing in real-time. This is an excellent way to learn from your existing campaign to see if there’s any way you can make improvements in your future contests. If you want to increase engagement on Instagram, you need to post regularly. The content you post also needs to tell a good story. 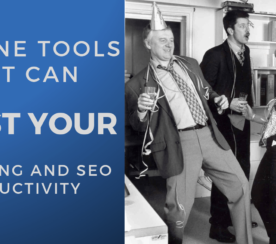 For example, maybe you’ve declared a certain day of the week as a special day for your brand like, “Stylish Saturdays” or “Melancholy Mondays.” And you want to regularly post photos related to that event every week. You may not always remember to keep up with this posting plan, so there’s a chance you won’t maintain consistency. This is why you need a visual representation of your posting plan to keep track of what you plan to post and when. 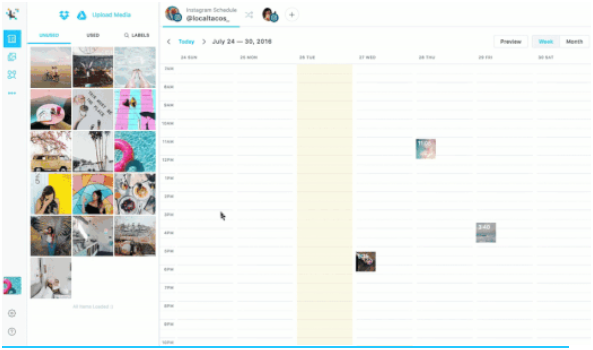 You can create a visual content calendar using Later. Using this tool, you can keep track of what you post to Instagram and when you post it. It also lets you preview how your Instagram feed will appear to your followers so you can create a posting schedule that will enhance the aesthetics of your feed. You might already know that people trust other consumers more than they trust brands. In fact, Bazaarvoice found that 51 percent of Americans have a deeper trust for UGC (user-generated content) on a company’s website than any other information. So if you want to drive conversions for your e-commerce store, you first need to win the trust of your audience with user-generated content. 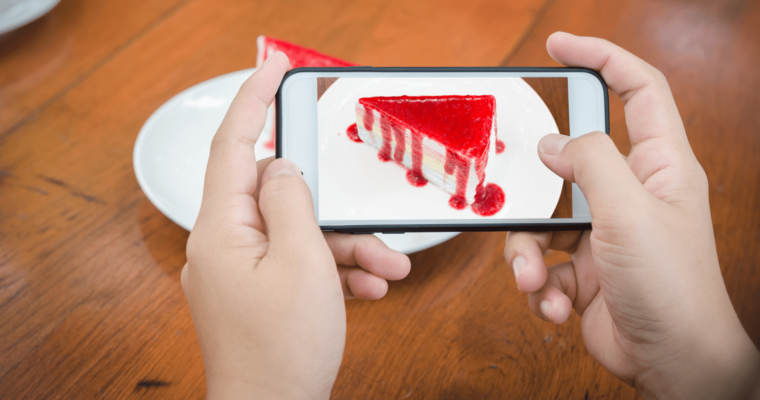 Customer-generated content, such as photos or reviews, can act as social proof to potential customers. It can help convince them to trust your brand, and eventually make a purchase from you. You can use UGC to market your e-commerce business in a number of ways. A popular way to do it is by displaying user-submitted photos of your products on their respective product pages. You can use Taggd to implement this technique. The tool will collect Instagram photos tagged with a specific hashtag, and then display those photos on the relevant product pages. They’ve also assigned a unique hashtag for each product to invite customers to submit their looks. Another way to implement UGC in your marketing campaigns is by using it to create engaging and effective social media ads. Just make sure you get permission from your customers before you use their content. You can use Olapic to quickly and easily request the rights to user-generated content. The good news for e-commerce retailers is that Instagram will be introducing a new shopping experience soon. They began testing it in November 2016. Through Instagram Shopping, retailers can tag products in their posts. Users can view the tagged products by clicking on a “Tap to View” button. Shoppers can then click on the tagged products to display more details, like pricing and stock info. 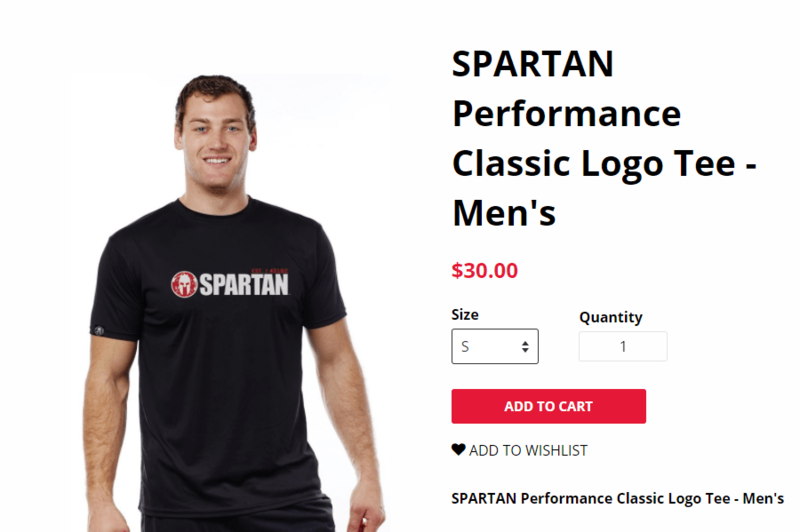 The detailed view will also display a “Shop Now” button, which will take shoppers to the product page on the brand’s website, where they can complete their purchase. 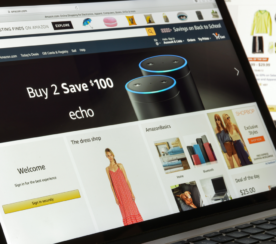 Since users won’t have to go through several processes to purchase products, they will have a much more pleasant experience interacting with brands. 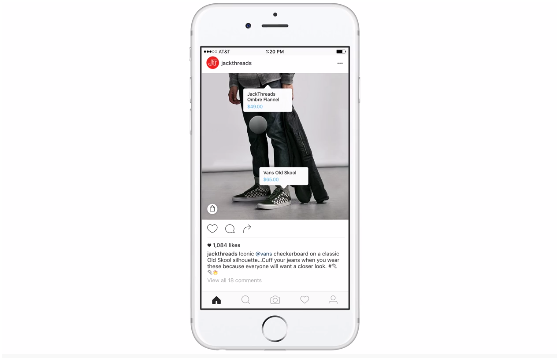 This also means that retailers can expect to see more conversions coming from Instagram. To qualify for Instagram Shopping, your account needs to be in English, and you need to convert it into a Business Profile. Only retailers selling jewelry, apparel, or beauty products can currently qualify for this feature. These are some of the best tools for e-commerce brands on Instagram and can definitely help increase your sales. There are also a variety of ways businesses can get traffic from Instagram to their website. Make sure to implement some of our suggested Instagram marketing best practices and you’ll surely get results in no time. All screenshots by Shane Barker. Taken June 2017.